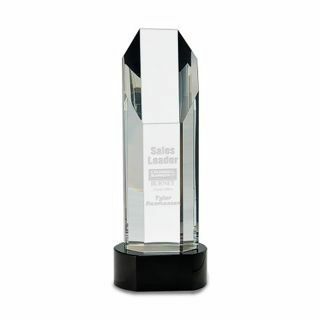 When you look at our Octagon Tower crystal trophy on a beautiful black base you will be impressed with when it comes to quality. 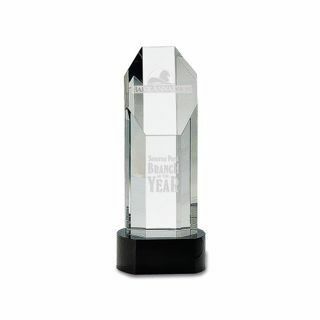 Our craftsmen will take your engraving and turn this crystal award into a masterpiece that anyone would be proud to receive. 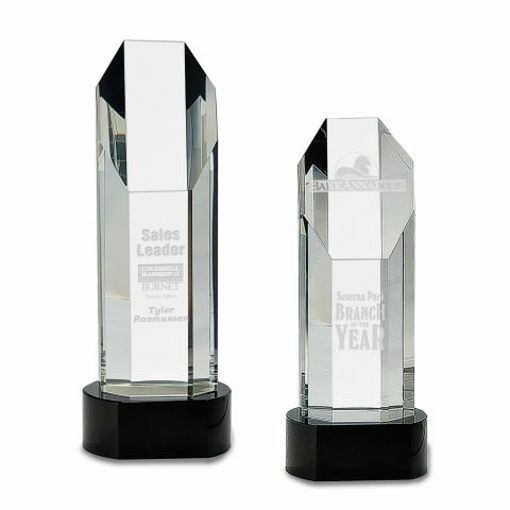 Set the bar high and order from NewlineTrophy.com where you always get free engraving.